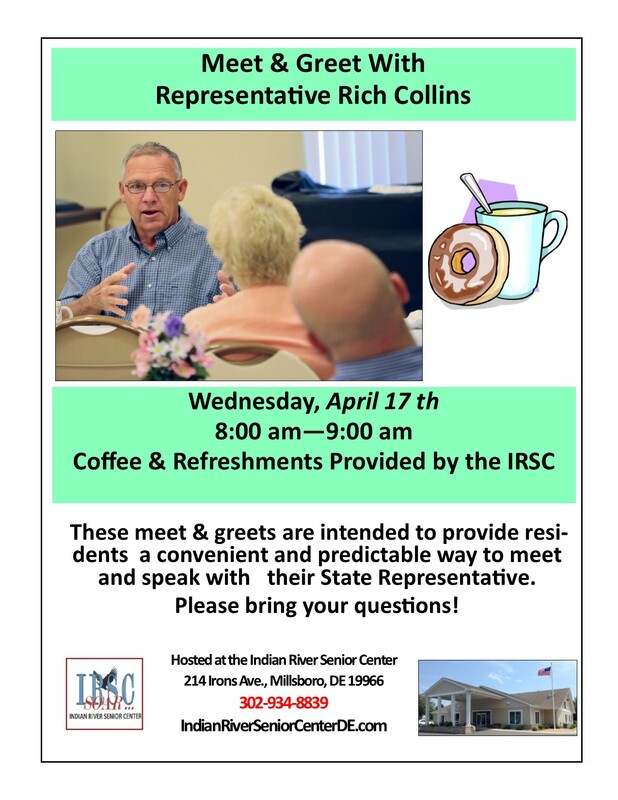 Representative Rich Collins – “Meet & Greet” Wednesday, April 17 from 8-9 a.m. at The Indian River Senior Center located. 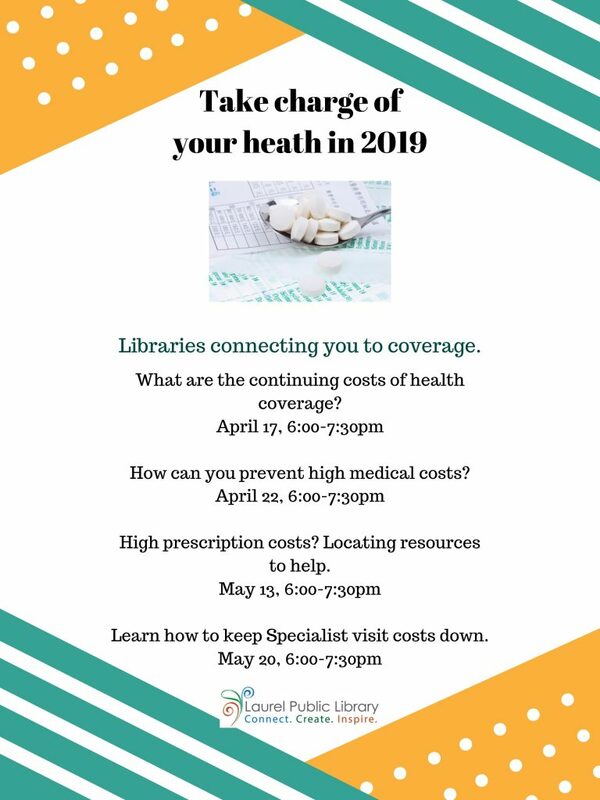 Free coffee & refreshments will be provided by the IRSC. These meet & greets are intended to provide residents a convenient way to meet and speak with their State Representative. 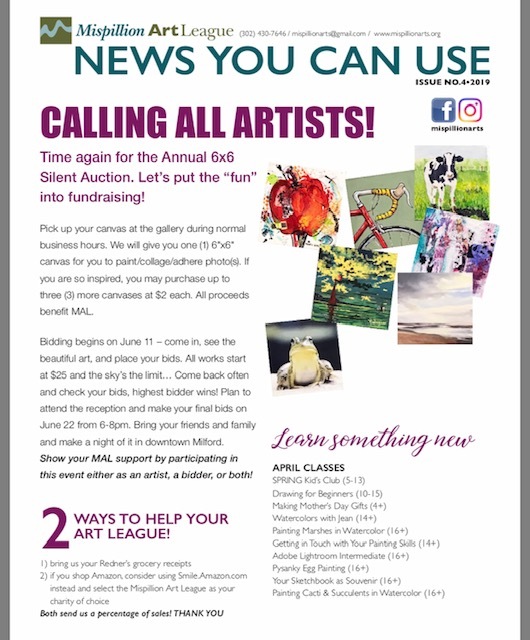 Please bring your questions! 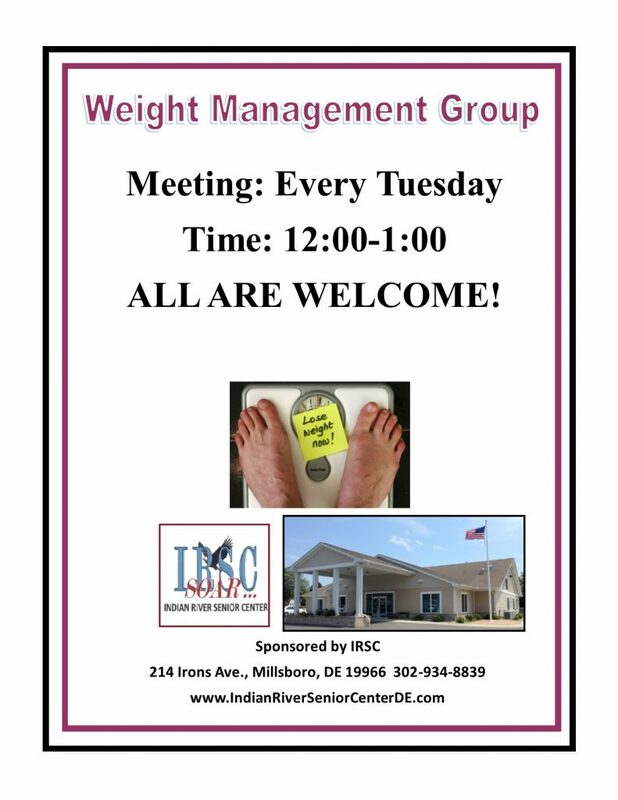 The IRSC is located behind the Wawa on Route 113, on 214 Irons Ave., Millsboro, DE 19966 302-934-8839 indianriverseniorcenterde.com .